Visiting Lake Las Vegas is a bit of a drive from The Strip, but I found another reason why you might want to schedule some rest and relaxation in a beautiful lakeside spa. Who knew right? Basically, it’s a short 15-minute ride to a desert oasis called, Loews Lake Las Vegas. Loews Lake Las Vegas is located in Henderson, Nevada and it is situated in between championship golf courses, fantastic dining, water sports and relaxing spa treatments. 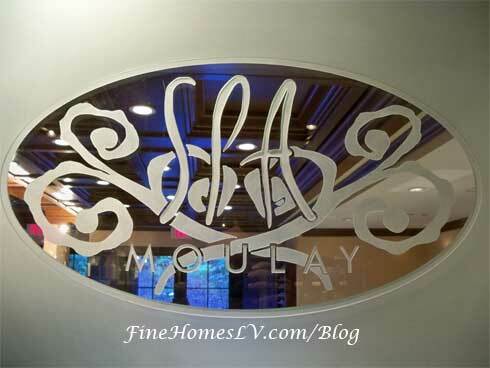 My recent visit to Loews Lake Las Vegas was to try out a Spa Moulay signature treatment. The treatment I chose was the Elemental NatureSM Facial. Once I selected this treatment, I asked the esthetician Janet, how we could try to revive my dehydrated skin. I wanted to be somewhat ready for a warming climate along with making my skin easier to hydrate afterwards. Janet then expertly chose among Aveda’s signature Elemental Nature products to personalize the treatment for my skin and requests. It was nice to have an esthetician listen to what you want done. She mentioned two possible upgrade options from this, what I call a tier one treatment. For an additional $20, Janet could have used tier two Aveda products to perform a micro-dermabrasion on my skin. The tier three was quoted to be similar to a 30% chemical peal, brides even have done on the day of their wedding and the fee is an additional $35. After I selected the tier one treatment, she began asking me which of the three available essential natural oils. I picked the tangerine essential natural oil that was mixed with a few of the applied Aveda signature Elemental Nature products. I opted for the tier one treatment because I wanted to experience what the base version. This would give us a better frame of reference so that if we were to choose tier two or three, we knew what we could expect to start. For 50 minutes with Janet, it cost $130, but its value was much higher, due to her tableside manner. We struck up a conversation during the treatment and everything went smoothly. She loves what she does and it shows. This is a great reason I could give anyone to take a short 15 minute trip out to Lake Las Vegas and try out a Spa Moulay spa treatment for men or women, inside of the Loews Lake Las Vegas hotel. Thanks to Spa Week for providing the fun complimentary spa treatment. There are two estheticians that alternate treatments at Spa Moulay, but I recommend that you schedule with Janet. I hope that my next visit out to Lake Las Vegas is soon, as the lake is beautiful anytime of year. Remember to book an appointment during Spa Week Event for $50 treatments at www.spaweek.com during April 11-17, 2011. You’ll receive an Elemental NatureSM Facial for a great value.